Built by Rivarossi, the 0-4-0 Shifter sold for $12.95 in the 1967-68 AHM catalog. Originally, AHM included two roadnames for this model (B&O and UP). The model is among the new products detailed in the November 1962 Trade Topics section of Model Railroader magazine. 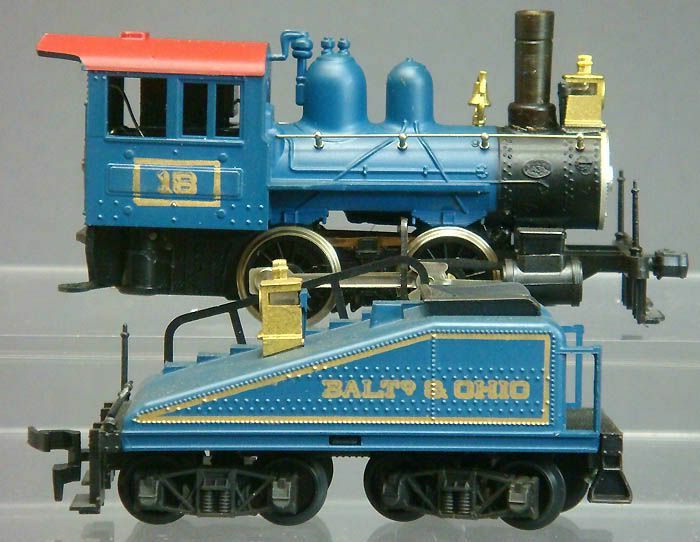 The review states this model is based on a Baldwin prototype built in 1912 for the B&O. The notice is good with the comment, "We found this model to be an excellent example of the clean, finely detailed work that can be done in plastics." AHM's 1977 price listing has this steamer retailing for $34.98. 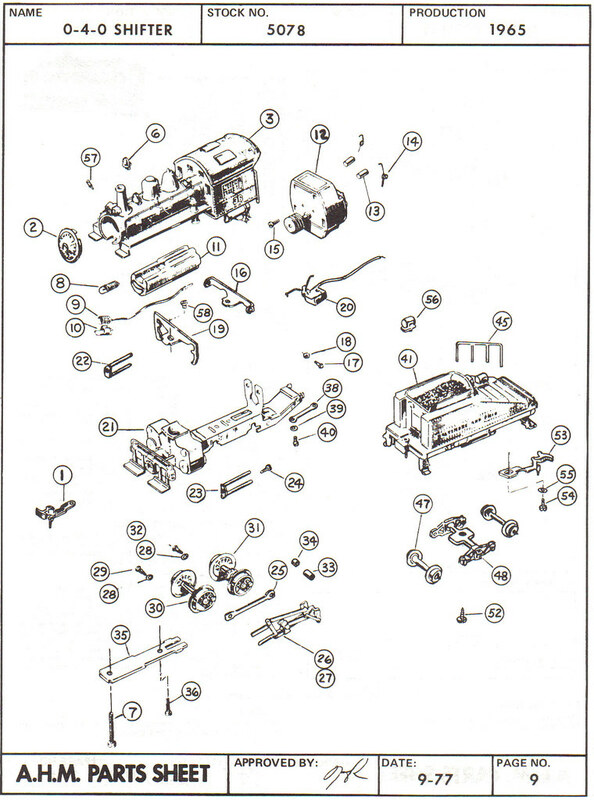 Above is AHM's parts diagrams for the 0-4-0 Shifter. You may click on any thumbnail image to open a large version for best viewing. 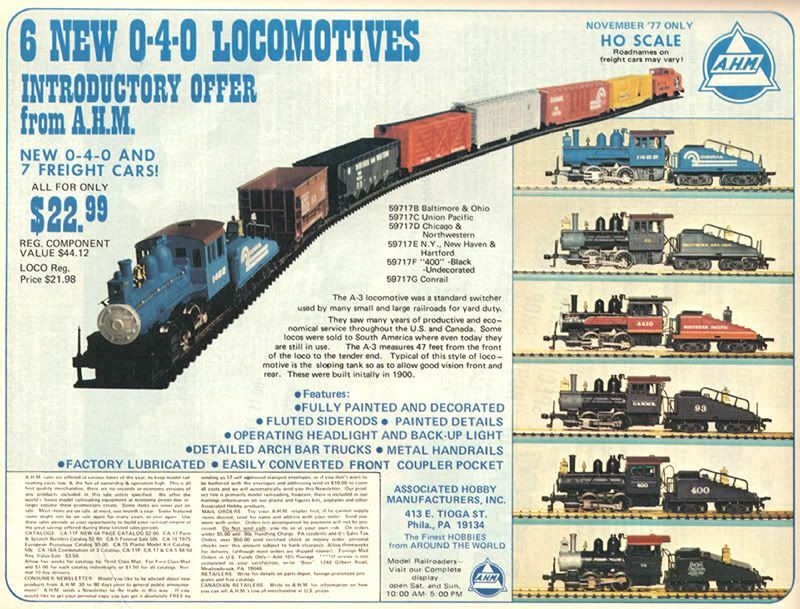 Above is a November 1977 AHM ad for the 0-4-0 Shifter. You may click on the thumbnail image to open a large version for best viewing.